A unique 30 acre asset owned by the Tennessee River Gorge Trust and managed through a multitude of beneficial partnerships. Castle Rock lies within the viewshed of the Tennessee River Gorge and is protected in perpetuity for local and visiting rock climbers. The property was donated by Harvey Cameron and the Conservation Fund. The bluff line is almost a half-mile in length with sections up to 120 feet tall and close to 100 sport and traditional routes. Grades range from 5.7 – 5.13 with one of the hardest routes in the State of Tennessee, Apes on Acid (5.13d)! 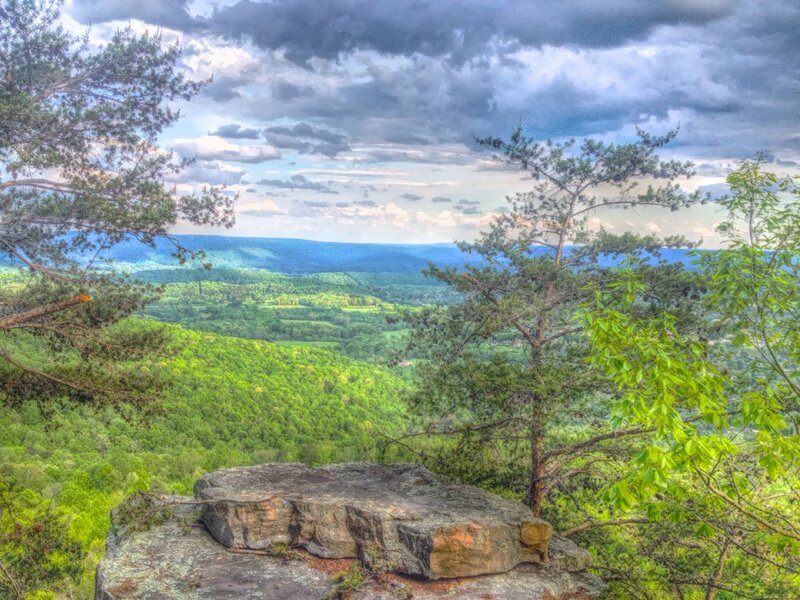 While the Tennessee River Gorge Trust owns the property, including the climbing bluff itself, we added greater strength to its protection by partnering with the Land Trust for Tennessee granting them a Conservation Easement. The parking area and access trail to Castle Rock was built by Wild Trails and is leased and managed by the Southeastern Climber's Coalition. The Access Fund was instrumental in nurturing these partnerships and providing advice throughout the process. All of these partnerships make Castle Rock possible and highlight the collaborative spirit between Chattanooga's non-profit organizations and our community members.